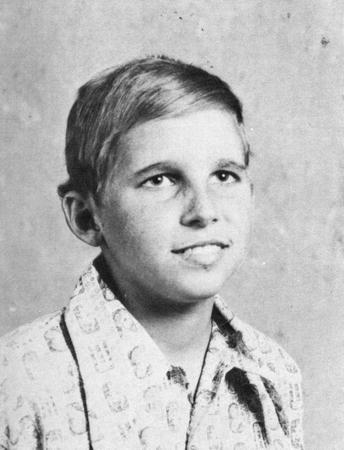 Neil, a senior at South, was born February 25, 1955, the son of Fred and Isabelle Farmen. 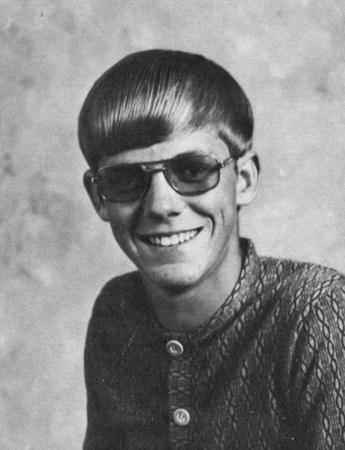 On December 25, 1973, while fishing on the Santiam River, Neil disappeared and was presumed drowned. "AFS student Guy Van Laethem passed away in his home near Brussels, Belgium, after a lengthy battle with leukemia. I believe he died in about 1978 at 22 years of age. Bruce and Connie Harpole could validate that. I visited Guy in the hospital in Brussels in 1976 shortly after he had been diagnosed with leukemia. After Guy's death his widow, Martine Van Laethem, came to visit the Harpole family. She lived with them for about a year. Her sister and one of Guy's brothers have also spent the summer with the Harpole family. I enjoyed visiting with Guy's family for about ten days during a trip to Europe in 1976." 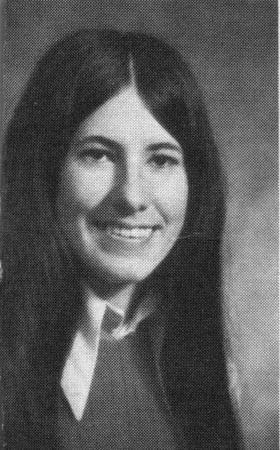 Brenda graduated from South Albany High School in 1974. She graduated with Special Senior Honors for a GPA above 3.50 at graduation. She received an "Honors at Entrance" Award from the University of Portland, a cash award scholarship from the Albany Rotary Club for outstanding senior in scholarship, leadership, character and service. At graduation she also received an Auxiliary scholarship cash award for a senior girl who planned to enter nursing. 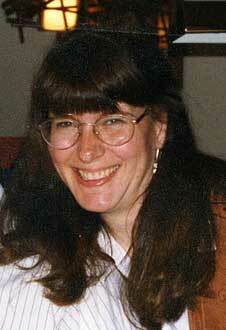 Brenda died of ovarian cancer on July 24, 1989. 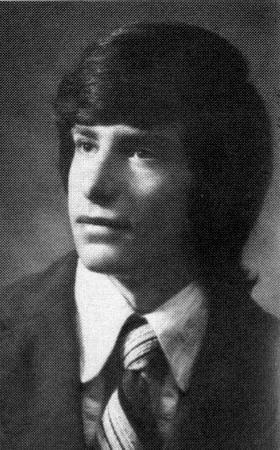 Tony graduated from South Albany High School in 1974. During high school, he was on the Rebel football team and was named "Most Inspirational" during the November Sports Dessert. He also played basketball and baseball while at South. Tony committed suicide. Dale Ellen Ballou May died of lung cancer at her La Jolla home on December 10, 2011 with her family at her side. She was born on August 10, 1956 in Spokane, Washington a few minutes before her twin sister. An Air Force brat, Dale and her siblings bounced around the country until the family settled in Albany, Oregon in the 1960s. Dale graduated from South Albany High School in 1974 and then attended Oregon State University, San Jose State University, and finally graduated from San Diego State University in 1979 with a B.A. in Anthropology. She also obtained an Academic Certificate in Public History from San Diego State University in 1988 and then a Diploma in computer graphics from Platt College in 1993. While in school, she worked as a co-supervisor for the San Diego Police Department in 1977. Then she began a 15-year career with San Diego State University at the Alumni Center, Math Department, and History Department. She applied her computer graphics skills as a supervisor at Emerald Publications in Carmel Valley before co-founding Legacy 106, Inc. in 2000 (www.Legacy106.com). While working at Emerald Publications, she moonlighted as editor for the Fort Guijarros Journal and Legacy 106, Inc. until she could focus all her efforts at the latter in 2003. She became the driving force as Vice President of Legacy 106, Inc. until her death. Dale loved art, design, anthropology, archaeology, community history, historic preservation and city politics. She combined those loves at Legacy 106, Inc. to help property owners obtain historical designation and Mills Act property tax reduction to restore landmark houses. On weekends and non-working hours, she applied those skills and interests to help Save Our Heritage Organisation, San Diego County Archaeological Society, Mission Hills Heritage, Fort Guijarros Museum Foundation, and Neighborhood Historic Preservation Coalition in their efforts to research and protect the heritage of her community. In addition to co-authoring and editing historical landmark nomination reports, she published an article documenting Hollywood actor Leo Carrillo's Rancho Los Quiotes in Carlsbad in the 1989 Journal of San Diego History, a work which won the Congress of History Award. In 2011, the City of San Diego awarded her the Preservation Action Award and SOHO awarded her a People in Preservation Achievement Award. The Fort Guijarros Museum Foundation gave her a silver trowel for 20-years service. This web site was created for the 30 year reunion of the Class of 1974. Information about other reunions is provided as a courtesy, but we are not responsible for the accuracy of that information. Website design and hosting donated by Wind River Web Services. All photos copyright 2012, Wind River Web Services, may not be used without permission. Please contact webmaster Dawn Ballou, dawn@southalbanyhighreunion.com, 307-360-7689 (Wyoming), for more information about this website.